An internal report from the San Diego VA obtained by inewsource reveals liver samples were taken from sick veterans without their permission for a study that provided no benefit to the patients. It’s the latest development in an ongoing inewsource investigation into a flawed human research study at the La Jolla facility. The October report found “serious noncompliance occurred” when extra pieces of liver were removed from at least nine veterans. The patients weren’t told those samples would be taken or that it could increase the risk of bleeding. I know that this restaurant is not in our Ocean Beach / Point Loma area. However, I think that a shout-out should go to them for what they did. What do you think? 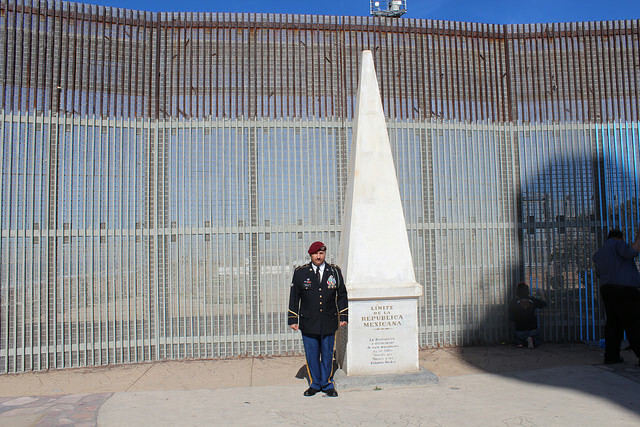 My husband – before he passed on – was a member of Veteran’s for Peace. I have kept semi-active in the organization and I think they do some wonderful things. 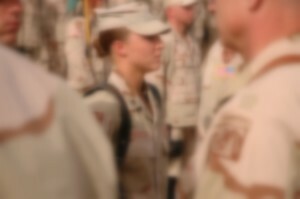 Today I received this message from Kate Beckwith – a retired Veteran – that hands out sleeping bags with so many others. I think this might be appropriate to repost because it talks about a restaurant – one that should be given plaudits for what they did. As my international students and I ate a “turkeyless” dinner on Thanksgiving, I was reminded of the years my family had to wait for my husband to arrive home because he, and other members of Veterans for Peace, were busy distributing sleeping bags, water, and sometimes candy to the homeless living on the streets. As my students and I discussed the meaning of Thanksgiving, they asked why the vets’ group distributed sleeping bags, how they got them, and who financed them. The students see people sleeping on the streets every day, since their ESL school is downtown. Miki said there are very few homeless in Japan; Lea said that she has not seen any homeless in Switzerland. Local veterans, friends and supporters from the San Diego Veterans For Peace are in their third year of a five year educational outreach encouraging the public to stay home and not attend the annual Miramar Air Show. Veterans believe that the Miramar Air Show glorifies war with an exciting show of speed, power and noise. It celebrates the skills and machinery that exist to kill, maim and destroy. The show is very dangerous …. 10% of all Blue Angel pilots have been killed in shows or accidents. 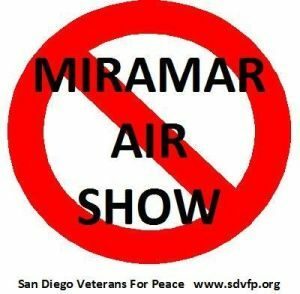 The San Diego Veterans For Peace is now in its second year of working to influence the public away from attending the MCAS Miramar Air Show. 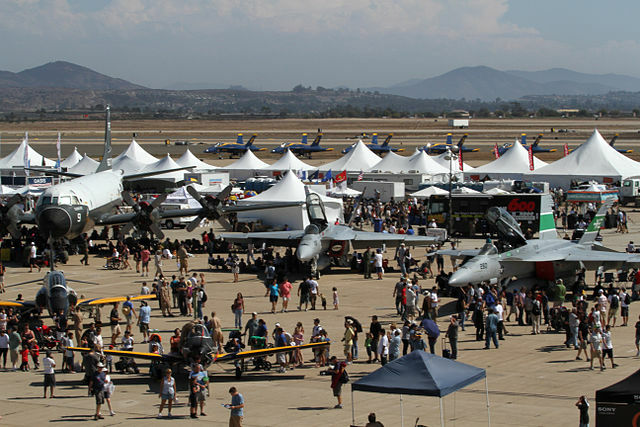 We view American militarism as a clear and present danger to our society and the world, and the most visible symbol of militarism in San Diego is the annual Miramar Air Show. 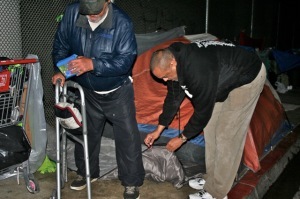 On a cold night in January I joined Stan Levin and Gil Field delivering sleeping bags to the San Diego homeless, what we call the compassion campaign. Dealing directly with the homeless is painful because there they are in our faces with their cold, hunger and suffering laid bare. What’s surprising is the number of people with just a thin blanket that will decline a sleeping bag because others nearby need it more. How ironic that people with nothing can have more compassion than those of us with plenty. Remembering this December 7th – Pearl Harbor Day – has special significance for us today in this new Era of Trump. The 75th anniversary of the attack by Japanese forces on US air and naval power in Hawaii in late 1941 finds few surviving members still with us. And our collective memory of “the day of infamy” – as President Franklin Roosevelt declared it the next day before Congress – which pushed the country into World War II – has all but faded. But yes, we need to remember this day – and all that it represents – all the contradictions of that historic moment and context. And all the parallels from that day to ours today. 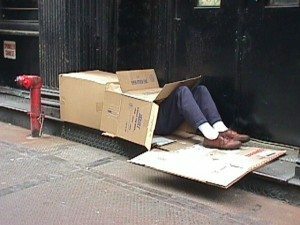 Is Reader Article on “Aggressive Homeless” Inappropriate Right Now? Poke is currently blowing up in San Diego, and the latest hotspot will be take-out hub It’s Raw Poke Shop, heading to Ocean Beach by early August. Victor Brown, Field Representative for Speaker Emeritus of the Assembly, Toni Atkins, had his hands full of socks at Wednesday night’s OB Town Council meeting – all donated by local OBceans. Socks for Stand Down was started in 2015 by State Assembly Member Toni G. Atkins, Speaker Emeritus, after local Stand Down organizers expressed a need for socks and underwear for homeless veterans attending Stand Down. Under the U.S. Department of Veterans Affairs, Stand Down events are one to three-day events providing supplies and services to homeless veterans. Homeless veterans receive food, shelter, clothing, health screenings, dental care, VA Social Security benefits, and counseling. Amy Goodman did a recent show about the refugees living in a camp in Calais, France. She walked around the camp interviewing several refugees all of whom spoke good English. Most of these people were sleeping in tents similar to the ones you see on the sidewalks of San Diego. Some had built simple structures. As she walked around, I began to notice some facilities that they had there which are nowhere to be found for the San Diego homeless. First I noticed a dumpster. There’s no dumpster for San Diego’s homeless. The trash just gets left on the street. The OB CDC Board Meeting Agenda held at the Ocean Beach Recreation Center promised “Veterans Plaza Committee Report – Closed Session” and it was right. After some usual financial reviews, the President, Tom Perrotti, announced that the Board would take a five minute break and then enter a closed session meeting. A week ago, I was sitting in the Denny’s across the street from Howard Johnsons in Chula Vista, waiting for Tracy (name changed), an Army veteran Amikas had been assisting for almost a year. The good news was that Amikas, a non-profit that I started five years ago to help homeless women and children, was going to cover the next five days at the hotel for Tracy and her three children. But I wasn’t looking forward to this conversation – where this family would go after those five days was anybody’s guess. People for the Ethical Treatment of Animals (PETA) has asked that the California Coastal Commission reject SeaWorld San Diego’s efforts to expand its killer whale tanks. The project is estimated at $100 million, to be completed in 2018, but has yet to received endorsement from the Coastal Commission. “This item has been postponed because of all the information submitted,” said commissioner Alex Llerandi. This is my report of the Ocean Beach Community Development Corp (OB CDC) meeting of May 13th, held in the Rec Center. The OB CDC regular meeting opened with a discussion on a request for commemorative plaques on the Entryway/Gateway project. There is still space available for 100 bricks. Small ones, 8” x 2”- are expected to cost $200, while the large ones, 12” x 12” – go for $1000. 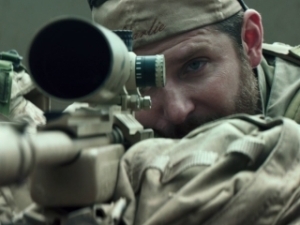 The controversy over the movie American Sniper has predictably reopened the divide among many Americans over the Iraq War. What is more interesting is how the choice made by director Clint Eastwood to choose a sniper as a heroic archetype unravels classic notions of what is considered heroism. The concept of heroism has been with humanity since the beginning. At it’s heart it contains a common thread where the hero (or heroine) risks themselves for the sake of others. How then to adapt the heroic archetype to the profession of sniper? This is no easy task. In March 2010, Katherine Bigelow made history at the Academy Awards, by winning in the Best Director category. This was the first time a woman had done so in the Academy’s history. She won for her film “Hurt Locker,” about men who disarm IED’s (improvised explosive devices) in Iraq. “Hurt Locker” was also was named Picture of the Year, and won for Best Sound Editing- so congratulations for all that, too, Ms. Bigelow. Well done. If you haven’t seen it, “Hurt Locker” is an amazing and suspenseful film — with hardly a woman character in it. At yesterday’s fundraising event for the new OB Veterans Plaza, the lead organization behind the project, the OB Community Development Corporation, rolled out its 3-dimension models of the planned memorial. A hundred people – including many biker veterans- joined the CDC and a color guard from Point Loma High School at the unveiling of the Plaza and the kickoff for fundraising for it on Tuesday, November 11th – Veterans Day. In observance of Veterans Day 2014, we turn to a series of posts that our online media partner, San Diego Free Press, has been running this week, “War and Peace Week”.